Reb Moshe Verter became a Ba’al Teshuva though the influence of Rabbi Yosef Carlebach, shliach of The Rebbe, more than thirty years ago. Ever since he has dedicated his life to Shlichus and to disseminating Judaism. Throughout the years Reb Moshe has quietly made it his business to take care of the material and spiritual needs of the Yidden of Central New Jersey. His unique love of K’lal Yisroel, his dedication to helping Yidden, especially ones he never met, his love of mitzvos and the joy he took in doing mitzvos b’hiddur, and the special care and attention he gave to details, are certainly qualities unmatched. Chabad House has created a special Memorial fund in honor of Dr. Moshe Verter. The funds collected will be directed towards the furtherance of the outreach communal activities that Reb Moshe Verter carried out over the past three decades. 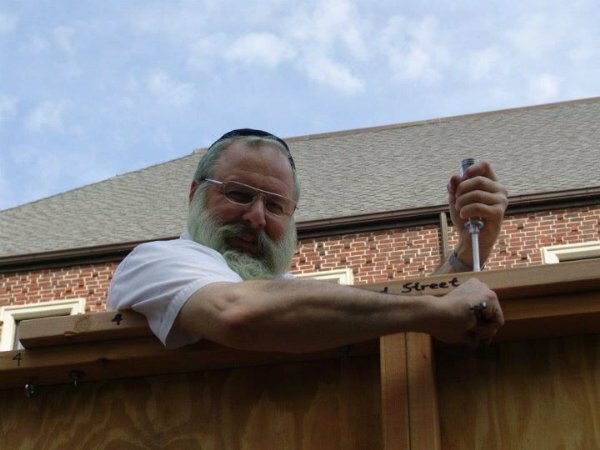 These activities included, among many other things, arranging weekly visitations with fresh flowers to seven of the area hospitals, the building and setting up of hundreds of communal public Menorahs over the years, and the creation of many community Sukkahs. He will be missed greatly. May we merit having the revelation of Moshiach right now!